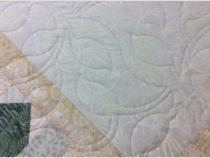 THE FUTURE OF COMPUTERIZED QUILTING. . . . TODAY! stitch button or needle positioner, but it does not need to be stitch regulated. 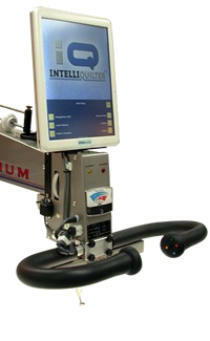 We deliver, install, and give you Quiltmagine training on your own machine when it is delivered. 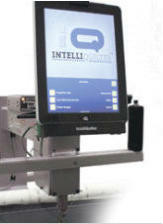 Intelliquilter offers two levels of systems: It is possible to upgrade from one system to another. 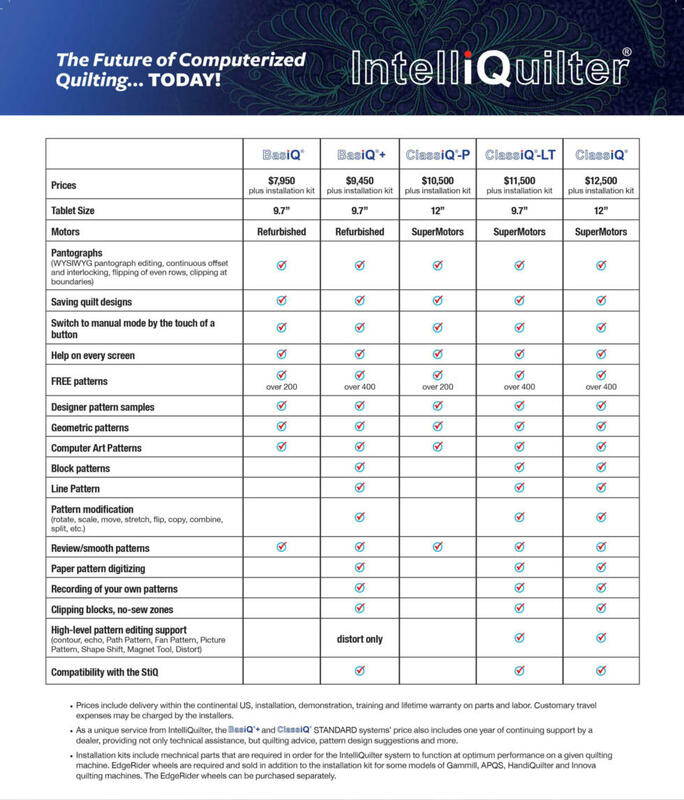 See comparrison chart below. • BasiQ - for smaller machines or as entry level, refurbished motors o BasiQ Pantos Only - $7950 o BasiQ+ - Pantos and Blocks - $9,450 • ClassiQ - faster tablet, super motors o ClassiQ-P - Pantos Only, 12” tablet - $10,500 o ClassiQ-LT, full system with 9.7” tablet - $11,500 o ClassiQ - full system with 12” tablet - $12,500 Additional cost : Some machines require the purchase of an installation kit. 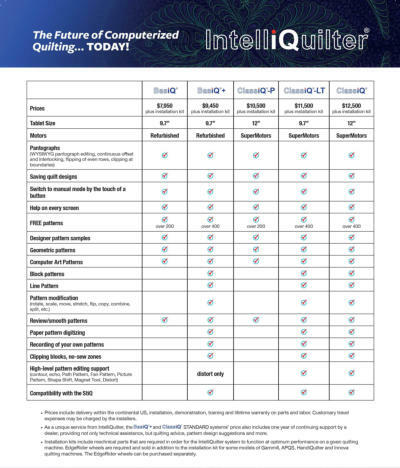 Price quoted above and below in comparison chart includes IQ system and tablet, installation, training and support. It does not include the cost of the installation kit (if required), or the installer’s travel expenses which may vary depending on distance. Quilt made by Cindy Barton, quilted by Joyce Blowers. 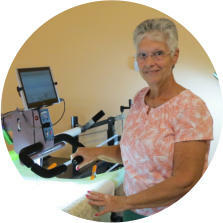 IntelliQuilter Workshop June 25-26, our studio Avon, NY Teacher: Joyce Blowers Info available by May 1.
other brands of longarm machines.